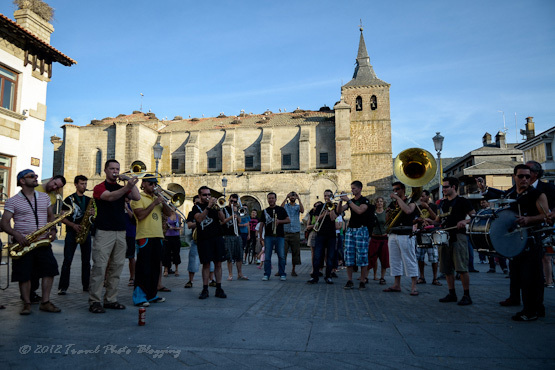 Performing in a fascinating Spanish city of Segovia was part of FEMUKA 2012 street jazz festival program. It was a great concert - the crowd really loved it. 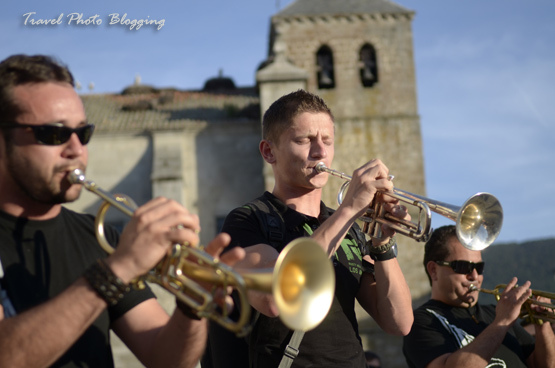 This is a short video of Kar ČeŠ Brass Band from Slovenia, playing Round one - a piece originally performed by Youngblood Brass Band. 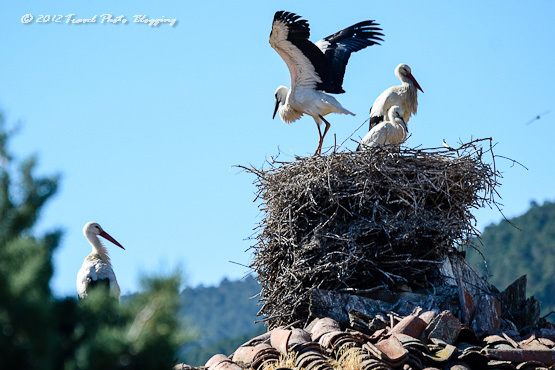 One of the first things I noticed upon arrival to the town of El Espinar in the Spanish region of Castilla y León were storks nesting on most of rooftops. Most of those nests were occupied by one or two quite large but I suppose still young storks. If you were not following my recent activity I should probably explain I visited FEMUKA street jazz festival that took place in the area around this Spanish town. To see all posts related to the festival, please click on the FEMUKA label in the right column. We also have storks nesting in some parts of Slovenia but usually there are just a few nests in each village. In El Espinar I had a feeling I just visited a very popular stork holiday destination in the peak season. These large birds obviously like this region a lot. I saw them also in other nearby villages but nowhere were so many of them. I needed some time to get used to being awaken by a strange clapping sound they make with their beaks. They did this non-stop but surprisingly I did not find it annoying. 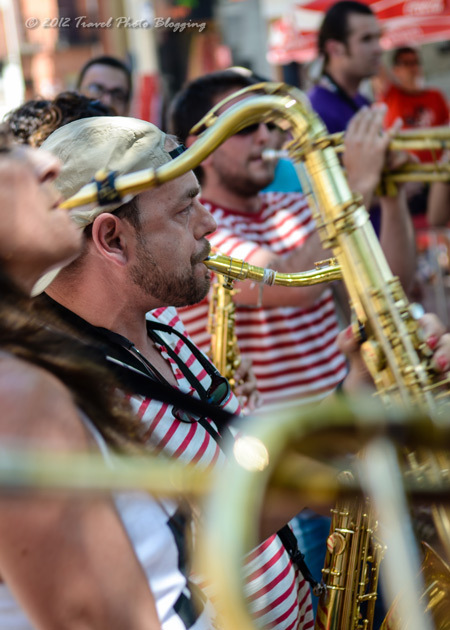 Even if by some strange coincidence next year there is no human crowd gathered for the festival, there will always be a patient crowd clapping (with questionable rhythmic capabilities) from the rooftops to the enthusiastic jazz musicians. You can actually see their nests on the roof of the church on the above photo. I can't imagine who wouldn't like that kind of audience. I guess the region is a perfect place for a birdwatcher. 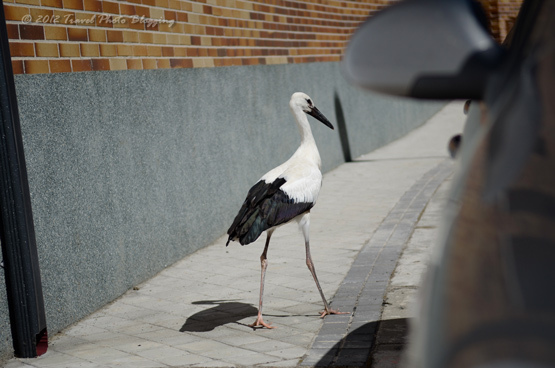 If you are lucky enough, you can even spot a stork taking a slow stroll on the pavement. The only thing you have to keep in mind in order to see them is to visit during their nesting season - every autumn they depart on a long journey south. Obviously I took quite a few photos of them. I hope you like the ones I actually decided to post. 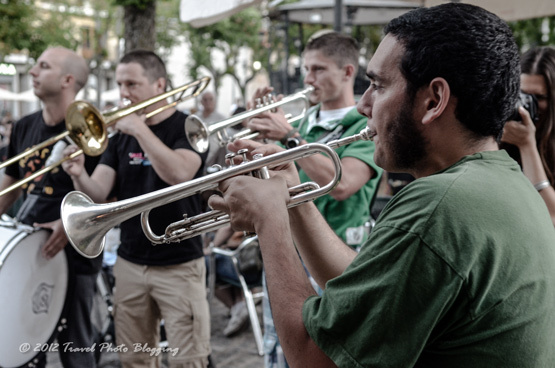 I shot quite a few great photos during the FEMUKA street jazz festival in El Espinar, Spain. To take a look at all of the posts from the event look for the "Femuka" label in the right column. I was playing around a bit with photo post-processing the other day and got some nice results. I decided to publish these in black&white. I hope you like them. 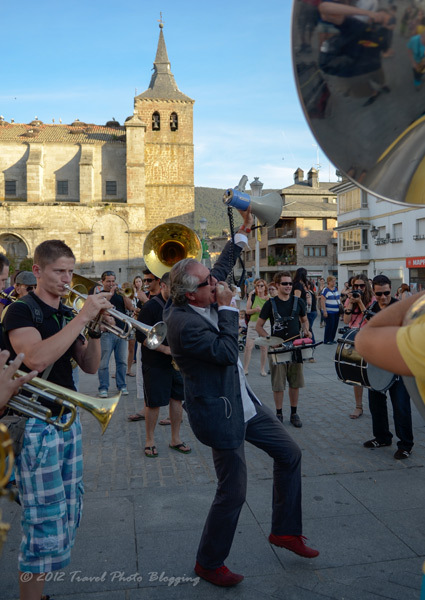 Once a year streets of the Spanish little town of El Espinar get alive with street jazz rhythms. 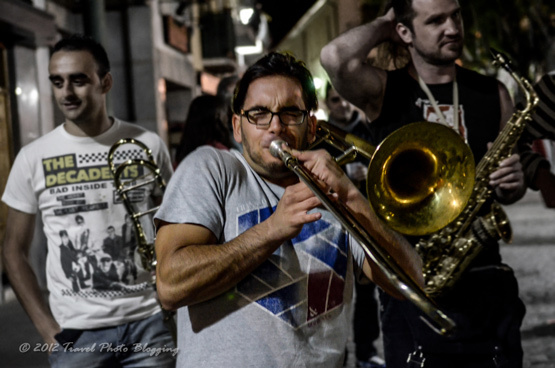 This year I was lucky enough to be there during the FEMUKA festival (Festival Internacional de Musica en la Calle). I already posted a couple of photos of the festival in my previous post and will probably do it also in the next couple of posts. There were lots of great photo opportunities in the three days of festival. Many spontaneous jam sessions were also great for shooting some video. This is also something you can look forward to. Apart from festival activities there was not much more to do in the little town but with really kind locals we met there is definitely a special charm to it. There are a couple of really charming squares and also an imposing old church is also well worth a look. 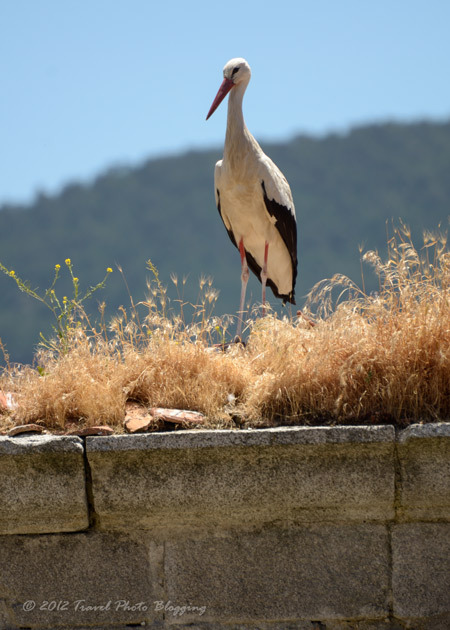 For bird enthusiasts there are countless opportunities to take photos of many storks nesting on rooftops. 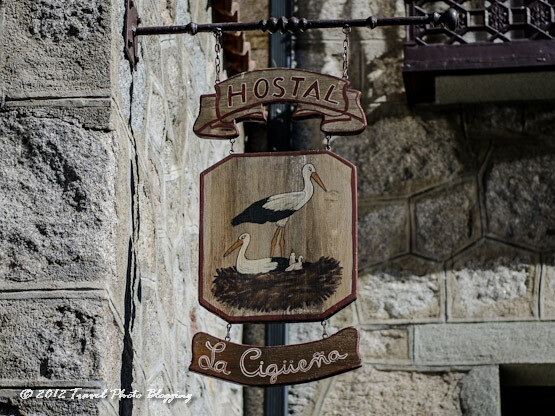 Even a nice hostel we stayed in was called Hostal La Cigüeña. In English this would translate to Stork Hostel. It does not offer any luxury but has very neat rooms with large and modern bathrooms. I definitely recommend it. The town can also offer a perfect base for exploring surrounding cities and villages. Some of them are really stunning. In addition to this there are many natural parks nearby also worth visiting (a local I spoke with in a nearby village even claimed to have seen a wild wolf for a couple of times). Sadly we didn't have time to enjoy what nature has to offer in that region but were lucky enough to be invited on a one day special tour through some really charming old villages. We really loved it! I also plan to publish photos of those villages for you to get a few fresh ideas for a vacation in the Spanish region of Castilla y León. 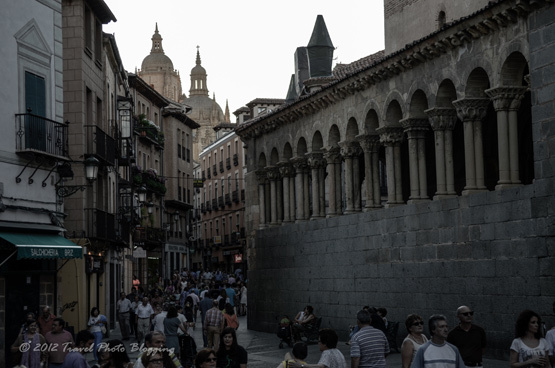 A couple of days ago I returned from an unexpected trip to Spain. Those of you who also follow Travel Photo Blogging on Facebook might have seen some photos already. If you are not already amongst those few lucky ones you should like our FB page this very moment. This is the way to really stay up to date with our adventures. Another way to see where are we at the moment is to follow our Instagram feed (look for travel_pb). Instagram is a really cool mobile application for both Android and iOS - I have posted about it here. Try it out and you won't regret it - it is free! Let me get back to that recent Spanish trip of mine. 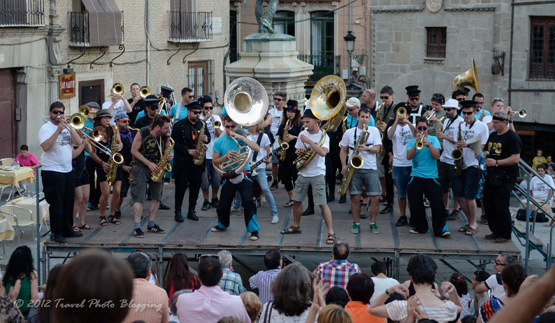 As luck would have it, a chance to accompany my brother's band (Kar ČeŠ Brass Band) to a street jazz festival near the Spanish town of Segovia came out of nowhere. This was one of those rare opportunities when you get a chance to combine things you love and don't even have to pay for it. 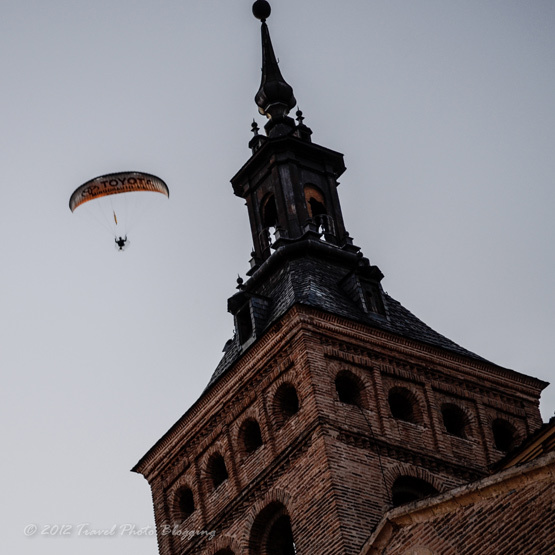 In this case it was a combination of two favorite hobbies of mine - travel and photography. Good music and almost non-stop party were just cherries on top of a very good cake. I did not think much before I took this chance and I was not sorry for a single moment. It was quite tiring but in the end well worth the effort. 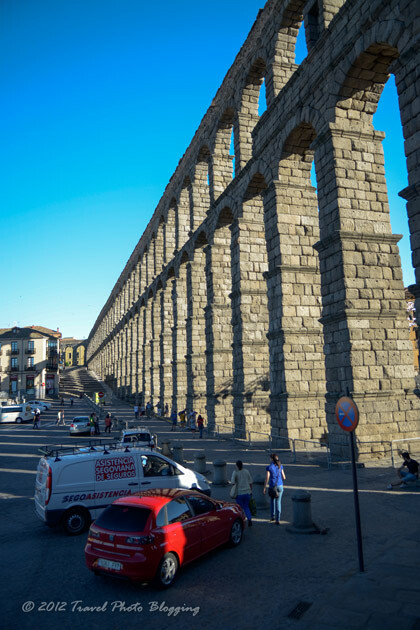 We were stationed in the town of El Espinar which lies 70 kilometres NW of Madrid. 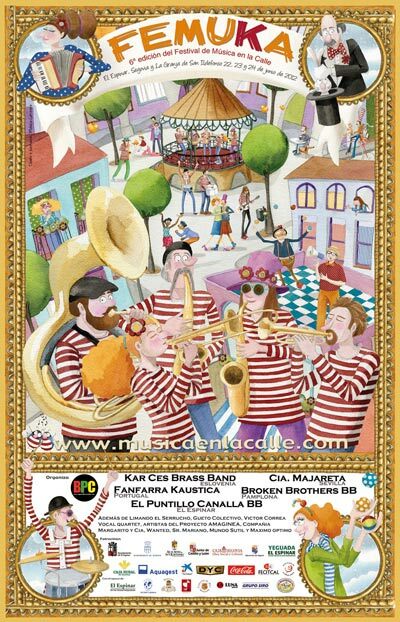 Every year a local band called El Puntillo Canalla puts an enormous amount of effort in organizing FEMUKA street jazz festival (Festival de Música en la Calle). This year they did a great job for the 6th time in a row. Chuso, Julia, Miguel and the rest of the band - thanks again for inviting us and taking such good care of us! 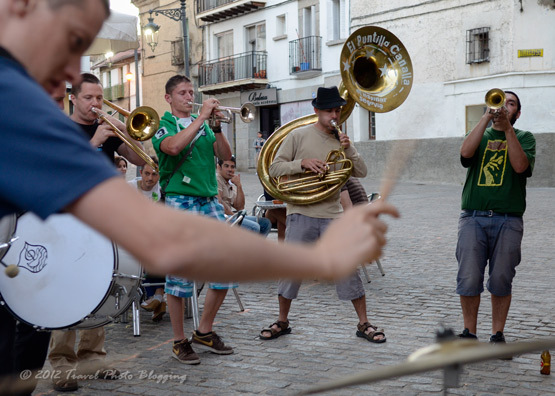 This year there were five bands performing in the streets of El Espinar, La Granja de San Ildefonso and Segovia for three days. Three of them were from different parts of Spain (Pamplona, Sevilla and El Espinar), one from Portugal and one from Slovenia. All of the participating musicians were really good and played with one another in mixed jam sessions like they knew each other for ages. The festival offered many opportunities for great photos and I think I shot at least a few good ones. Well I will let you be the judge of that. Have you ever dreamed of visiting an exotic tropical island with your family or group of best friends? Of course you have... but when you woke up there was probably some bitter aftertaste left from realizing you didn't have a sufficient budget for actually doing such a thing. Now is your chance to do it for FREE with a little help from TomTom! TomTom is searching for five families or groups of friends to spend two weeks on a tropical island and earn 10,000 euros for mapping it. TomTom's Map Paradise Project will help create five new navigable maps for: Fiji, St. Lucia, Mauritius, Cape Verde, and the Seychelles. For even more information you will just have to take a look at the exciting video above. Trust me, you won't regret it! As you might already know, TomTom is a renowned manufacturer of automotive navigation systems. At the moment they are doing this campaign you (and your friends) can also benefit from. Their maps already cover most of the globe but some tropical islands are obviously still missing. You can help them do it and earn 10,000 euros in the process. Oh, let us not forget - they will also cover most of travel and accommodation expenses for you and your friends. If you worry about all the technical details you might not know for doing this mapping thing, you don't need to worry. A TomTom expert representative will provide all the information you might need. This could easily be the adventure of your lifetime! Don't let it slip past you! To apply, go to http://www.tomtom.com/summer.